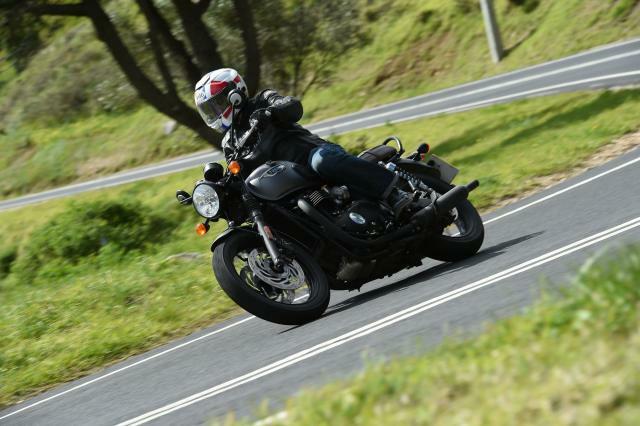 Triumph describes the suspension as 'developed for an engaging yet easy-going riding experience'. It's softish, a little bouncy - authentically traditional, you might say - but certainly comfortable. Riding straight through potholes or over speed humps is not an inconvenience. It’s got slightly more travel than the outgoing model. The seat is also generously padded, soft and comfortable. Triumph says it’s got more foam than the outgoing one, while seat height remains ‘comparable’, at 785mm. The riding position is such that the seat feels low and the bars high. Not ape-hanger high, obviously, but enough for your forearms to be near horizontal. For mine to be, anyway. It’s relaxed and comfortable, with the pegs a little forward of the seat. 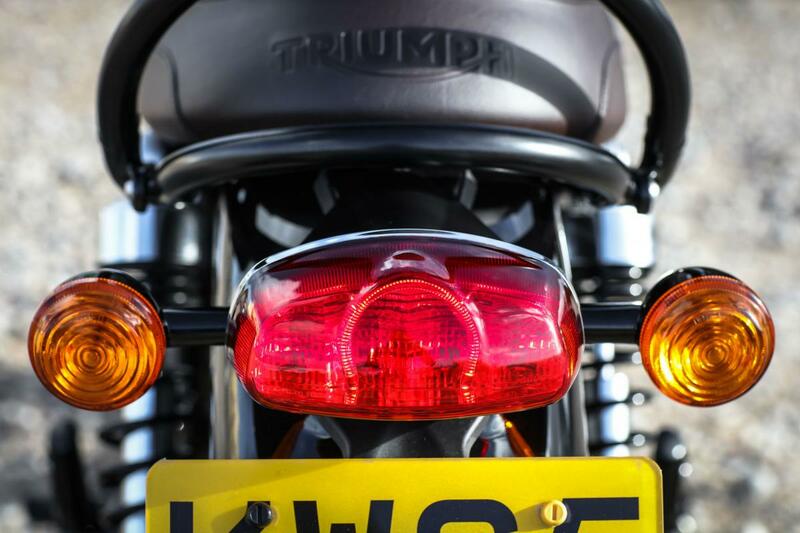 While other manufacturers have long since switched to giving us wet weight figures instead of dry, Triumph still sticks with the latter. 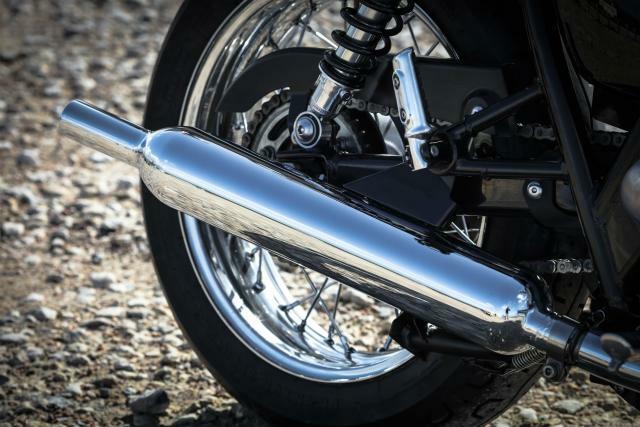 With this bike’s claimed 224kg, you can see why they’d be keen to use any means available to diminish the impression of weight. It really doesn’t feel as heavy as that figure suggests. It’s got a low centre of gravity, revealed by the ease with which you can lean it over a bit at standstill, and push it from side to side letting it rest on one thigh and then the other. 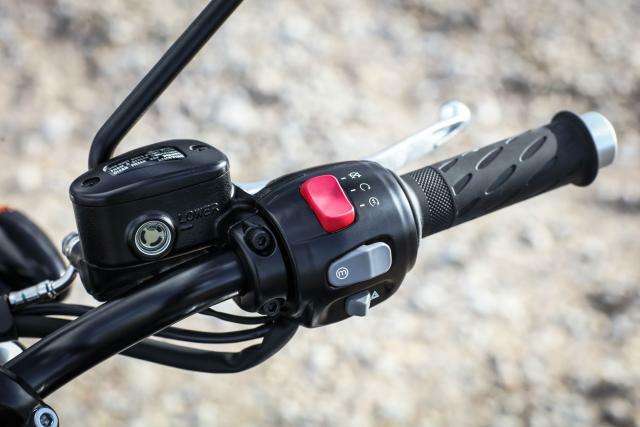 By the same token, it leans and turns with the ease of a lighter bike on the move, too. Asked to guess, I might have said it weighs about 30kg less than it does. 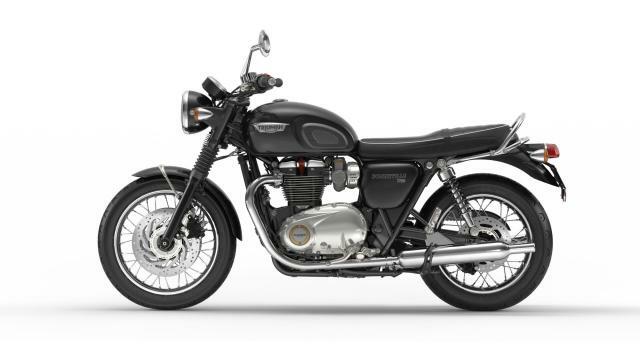 It’s got the same tubular steel main frame as the Thruxton and Thruxton R, but with a different welded-on sub-frame and an utterly different feel. 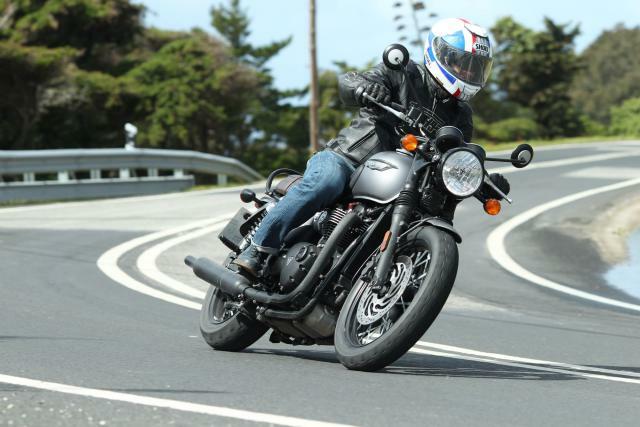 The high bars and 18-inch front wheel don’t put you in touch with the front tyre and tarmac in the same way the Thruxton R’s 17-inch and clip-ons do. 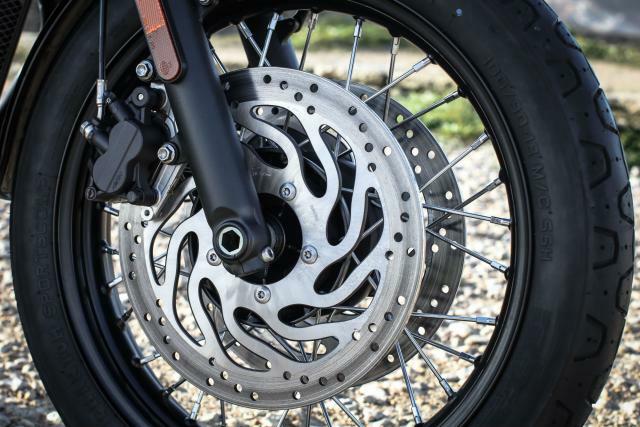 The brakes, twin front discs and two-piston Nissin calipers at both ends, are more than competent, with good, progressive power through the span-adjustable lever. The Pirelli Phantom Sportscomp tyres seemed good in the dry. They perhaps weren’t quite so confidence-inspiring in the wet, but they kept all the shiny chrome the right way up. That’s what makes the Bonneville T120 a nice experience – the shiny bits, the beautiful engine, the rubber grips on the sides of the tank – the genuine period feel. Above all, it manages to put you in a good mood. Look at the clocks, with the chrome rims. The ‘Triumph’ embossed handlebar clamp. Have a bit of that easy torque. If you’re like me, you’ll keep accelerating and decelerating just to feel it again. 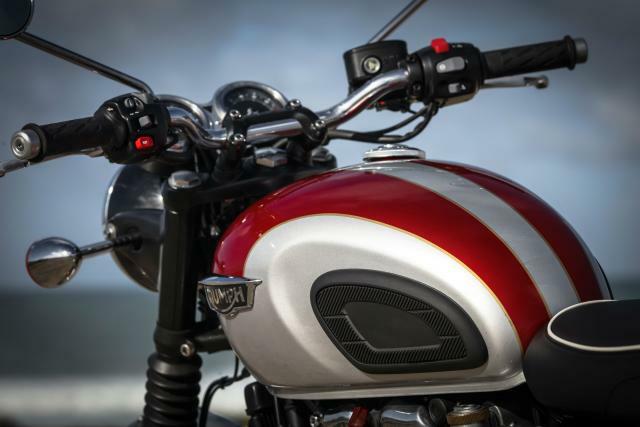 Hear the engine – not loud, but loud enough to believe it’s air-cooled. 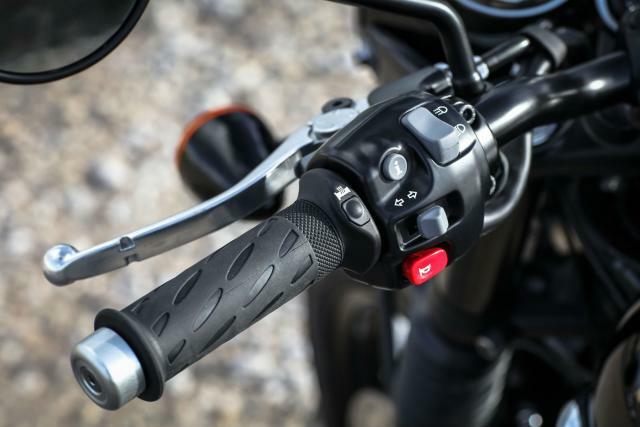 Warm your hands on the heated grips. And now tell me you’re still in a bad mood. 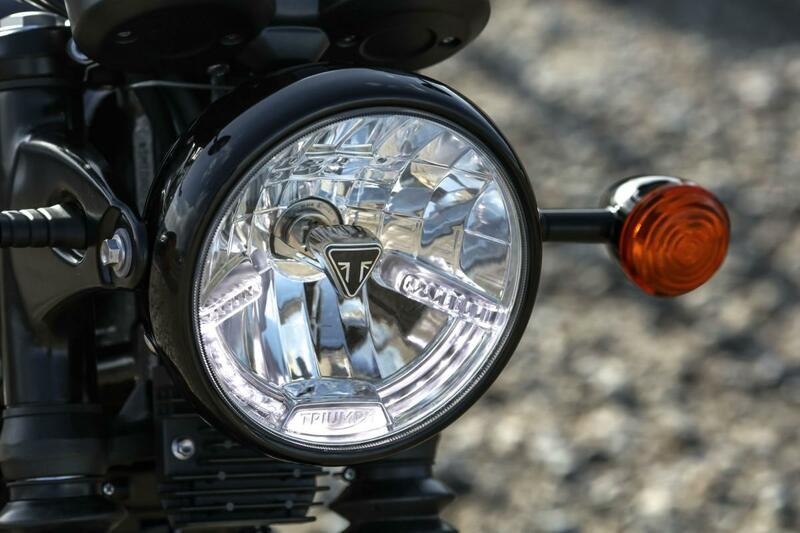 The T120 isn’t a traditional-looking bike given some modern performance, like the BMW R nineT and now the Triumph Thruxton R. It’s a faithful recreation of a classic motorcycle, or as near as can be got to it, using modern technology. There’s the odd thing that seems to undermine the impression more than strictly necessary. As on the Thruxton R, I wonder if the handlebar switch-gear couldn’t look a little more from 1959, instead of straight from 2016. But overall it seems to recreate the things about an old bike that I imagine made them good, while taking bad bits out and adding some mod cons and safety. 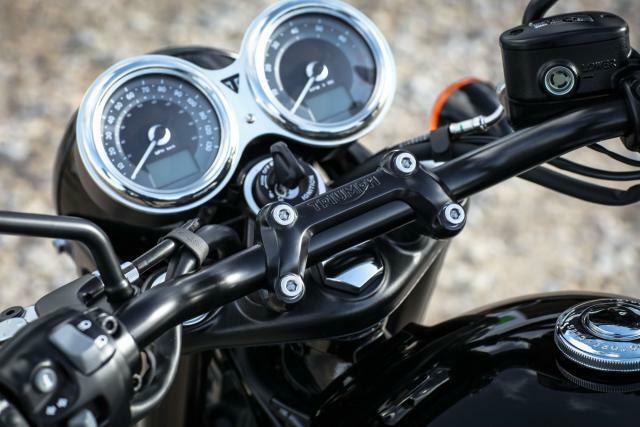 There’s a torque-assist clutch, so your wrist doesn’t seize up from pulling the span-adjustable lever. 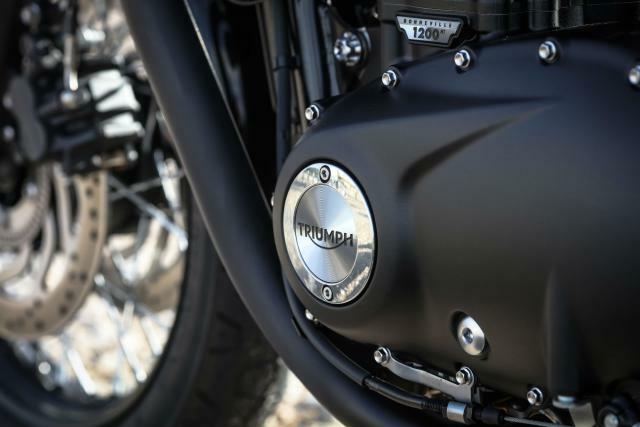 It’s got 10,000-mile service intervals, increased from 6,000. 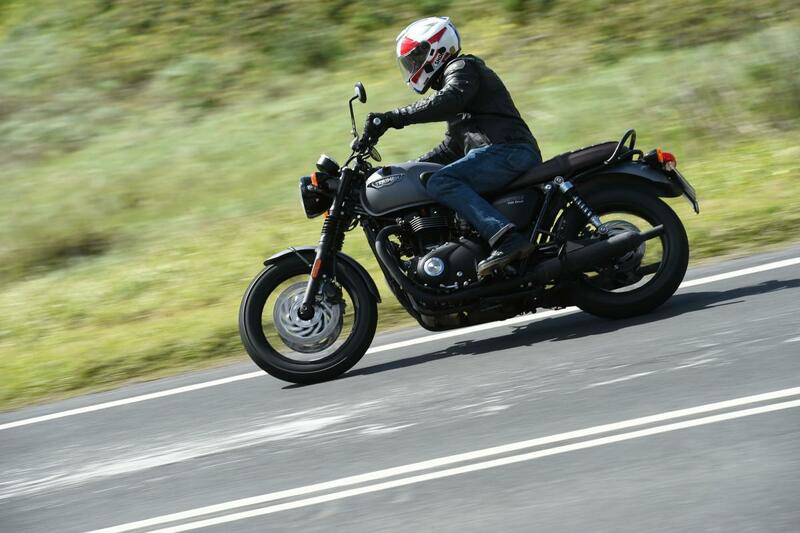 It's got a sixth gear (which there was hardly a chance to use on the morning test ride on twisty roads, and which seemed quite tall). It’s got a centre-stand, which is handy in any era. 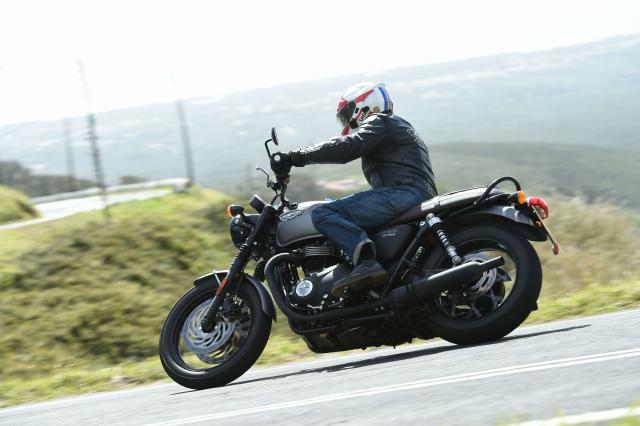 Starting from £9,600, it’s a lot more expensive than Ducati’s popular 800cc Scrambler, which starts from £7,250. That could be a problem for it but I don’t think so. 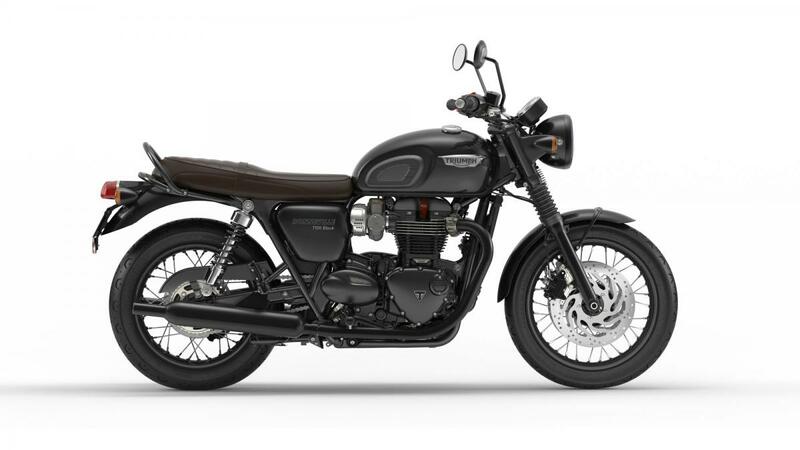 People who want a Bonneville will want a Bonneville, not a foray into the Land of Joy. 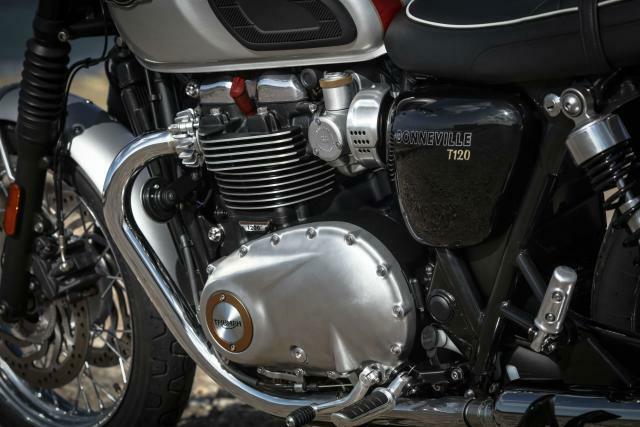 That’s what the T120 has got right. It’s not an icon. 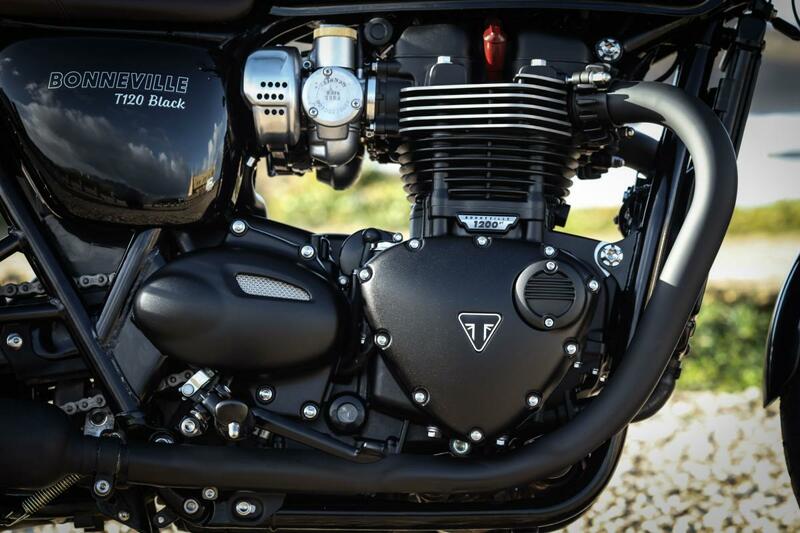 It’s a Bonneville - just what it needed to be. Brakes: twin 310mm front discs with Nissin two-piston floating calipers, single 255mm rear disc with Nissin two-piston floating caliper. ABS as standard.